With every shipment you initiate, we look for faster, safer and smarter ways to manage freight and fine-tune your supply chain. As a strategic third party logistics partner, Kingsgate can serve as an extension of your team or be available as the on-demand 3PL provider you can call at a moment’s notice. Regardless of the role you need us to play, we make sure that every interaction is informed by the last, with information and data collected and made transparent at every step of the way. This level of service cannot be achieved without honesty. As your freight broker, we’ll always speak the truth when it comes to challenges and possible outcomes, keeping our eye on where you want to take things in the future. Because we know you’re relying on our expertise and follow through to help you get there. Merry and Tom Beckham see an opportunity to create a new transportation logistics company that’s centered on a commitment to relationships. 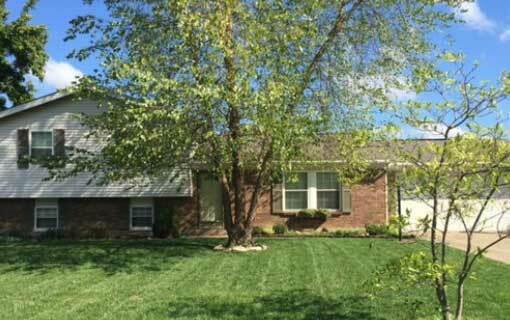 They found Kingsgate Logistics in the basement of their Ohio home. Jeff and Julie Beckham, Amy Barnett and David Beckham purchase Kingsgate from their parents. Starting the second generation of logistics excellence and carrying on the legacy their parents began over 30 years ago. 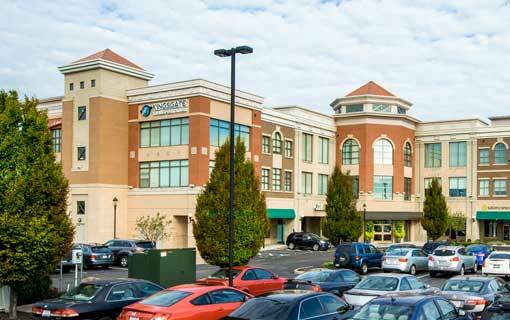 In anticipation of expansion, Kingsgate moved into our current location off Union Centre in West Chester, Ohio. Over the next year, we fully reconstructed and redesigned the office to accommodate our growing team. 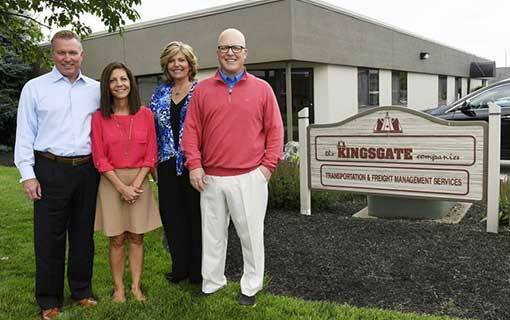 Kingsgate has doubled in size in three years, having nearly 70 employees that call Kingsgate home. Rooted in our 1986 foundations, we appreciate those that have led to our current success and eagerly anticipate our continued growth. TRANSPORTATION LOGISTICS SERVICES, FINELY TUNED FOR YOUR SHIPPING NEEDS. Kingsgate offers a full scope of logistics services facilitated by leading-edge technology, and can provide you truckload, LTL, expedited, intermodal, and international shipping. © 2019 Kingsgate Logistics, LLC. All Rights Reserved.